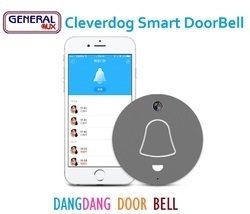 Providing you the best range of wifi dang dang smart doorbell, dang dang bell, wireless door bell, wifi door bell, wireless door phone and general aux cambell wireless wifi p2p camera smart door bell with effective & timely delivery. Driven by technical excellence, we are counted as the topmost provider of excellent quality range of Wifi Dang Dang Smart Doorbell. This doorbell is used in homes. Our provided doorbell is widely appreciated by our renowned clients for its perfect performance and sound. At our vendors’ end, the offered doorbell is precisely manufactured making use of optimum grade components with the help of contemporary techniques. 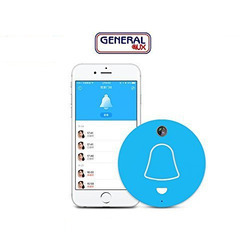 By keeping track with the latest trends, we are bringing forward an attractive range of General Aux Dang Dang Bell to our precious clients. This bell is widely used in homes, offices, etc. Using exceptional quality components and modern techniques, this bell is manufactured under the direction of talented professionals at certified vendors’ end. As per the defined industry standards, the offered bell is thoroughly inspected on numerous measures of quality to dispatch the defect free delivery. As per the specific needs of the clients, we are engaged in providing a high quality range of Wireless Door Bell that is designed to install at the door of homes. As per the defined industry norms, this door bell is manufactured making use of supreme class components with the help of contemporary techniques at vendors’ end. 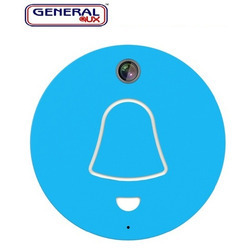 This door bell is made available in the market at a reasonable price within promised time frame. 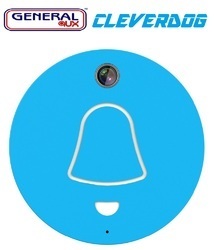 CLEVERDOG WIRELESS VIDEO DOOR PHONE BELL WITH MOTION DETECTION & 2 WAY COMMUNICATION- GENERAL AUX EXCLUDIVE DOORBELL !
. No wiring installation : With a Lithium battery inside the doorbell, fixed it with screws.. Long standby mode : With imported American low-power Wi-Fi chips, the doorbell could sustain 4-6 months.. Visitor record : The service will sync your record to the cloud with ease, and you could check anytime.. Check the video : Via the App we could do full-duplex speech and watch the real-time video, know what happened outside the door.. Voice messages : Support voice mail after no one answered in 15 seconds.. Voice talkback : Realize talking with the other side of the doorbell via App on mobile devices.. Face recognition : Special recognition function help differ friends from strangers. Key features No wiring installation With a Lithium battery inside the doorbell, fixed it with screws. 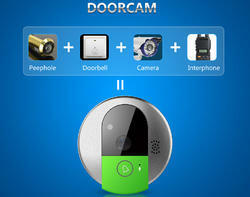 Long standby mode With imported American low-power Wi-Fi chips, the doorbell could sustain 4-6 months. Visitor record The service will sync your record to the cloud with ease, and you could check anytime. Check the video Via the App we could do full-duplex speech and watch the real-time video, know what happened outside the door. Voice messages Support voice mail after no one answered in 15 seconds. 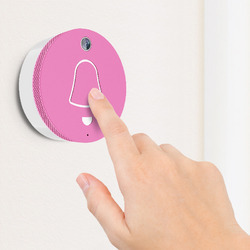 Voice talkback Realize talking with the other side of the doorbell via App on mobile devive.parameters Optical glasses lens 1/3, Colorful high-definition 3.6mm@F2.8 wide angle 80° Sensor type CMOS Relative illumination >65% Shoot range 0.5m?? Video technical parameters Image resolution 720*576 Video CODEC H.264 Frame rate 15fps Code stream 320kbps (256kps when the video talk is on.) Traffic Live video 2M/mins (another 0.4M will be cost when the voice was open) Occuipied bandwidth 512kbps at least (suggestion) WiFi function One-click. 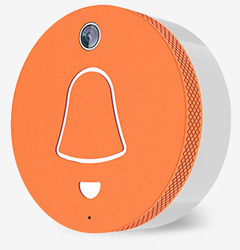 Looking for Wifi Smart Doorbell ?